Running on Pixie Dust: There's a Sprocket in my pocket! There's a Sprocket in my pocket! 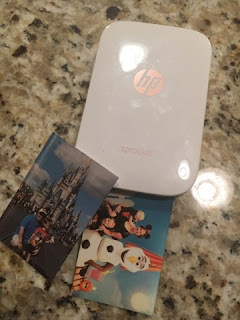 I have to say that when I first saw the advertisements come out for the new HP Sprocket, I struggled to think about why anyone would NEED this product. But, I as much as I questioned the need for one, I was nevertheless excited to find out that I would be able to try this newest piece of technology out with my family. After setting it up and playing with it for a week, I have to admit that it is easy to use and a fun addition to our house. If you haven't heard about the Sprocket yet, it's a pocket sized, inkless photo printer generating 2"x3" prints of your favorite pictures. Think of it as Polaroids for the 21st Century. So, how does it work? It's incredibly easy to set up. Once removed from the package, you want to plug your Sprocket into your laptop via the USB charging cable in order to get the battery ready to go. When you have your battery charged up, pair your Sprocket to your smartphone using Bluetooth and then download the Sprocket app on your phone. In the app, you can select the picture you want to print from social media sites like Facebook or Instagram, or you can choose from pictures in your photo library. After selecting your picture, you can edit to add text, stickers, or photo frames and also crop or use a filter on your image. Make sure you've loaded the Zink paper into the printer, press the green print button, and you have your photo! It's so easy to use and fun to play with that my four year old continuously asks me when we can make more pictures. Being able to print pictures on-the-go can be a great way to celebrate even the smallest of moments with family and friends. The Zink photo paper also features a sticky back so you can add the prints to a collage, white board, or binder easily (just to name a few!) I will say that I've found the coloring to be a bit off with the printer - duller than the images themselves. I've been able to work around the problem by lightening the image using the editing tools prior to printing, but it's good to know in advance. As you're completing holiday shopping for your friends and family, the HP Sprocket definitely deserves a look for anyone who enjoys capturing and sharing those special moments. 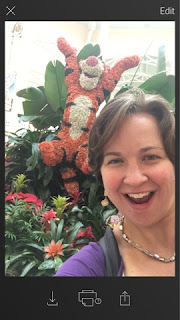 I can see us using our printer at holiday gatherings and parties throughout the year for instant photo booth fun and to print copies of favorite pictures with those family members that we don't get to see too often. I'm anxious to continue to learn and play with all of the features of the Sprocket and can't wait to have fun this holiday season with our family and friends. 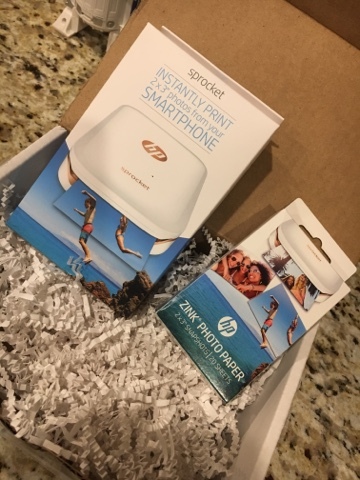 Disclosure: I received the HP Sprocket for free as a promotional item for my participation in the HP Millennial Influencer Panel. Opinions are my own!